Nate Shurden is the Senior Pastor of Cornerstone Presbyterian Church in Franklin, TN, which he planted in 2011. Before moving to Franklin, Nate was the Minister of Discipleship & Young Adults at First Presbyterian Church in Jackson, MS, and the Assistant Editor of reformation21, the online magazine of the Alliance of Confessing Evangelicals. Nate was born and raised in Laurel, MS, and educated at Bannockburn College (Franklin, TN) and Reformed Theological Seminary (Jackson, MS). In addition to his pastoral responsibilities, Nate serves as an adjunct professor at New College Franklin and is regular contributor to Ligonier Ministries, Christward Collective, and He Reads Truth. In 2001, Nate married his college sweetheart, Christy. They have four children (junior high to kindergarten): Rosalyn, Katie, Knox, and Luke. Tony is a native of Nashville where the Lord captured his heart as a senior in high school and began to gently and thoroughly re-orient his life around the gospel. Seven years later with a degree from Vanderbilt University, and three years ministry with Young Life, he headed south with his new bride, Mary Lynn to Reformed Theological Seminary in Jackson, MS. They made their home in Charlottesville, VA for the next 24 years where he fell in love with the church as both Associate Pastor at Trinity Presbyterian Church and Director of Undergraduate Ministries at the Center for Christian Study. He returned to Nashville in 2008 and most recently served as interim senior pastor at Christ Community Church Franklin, TN. 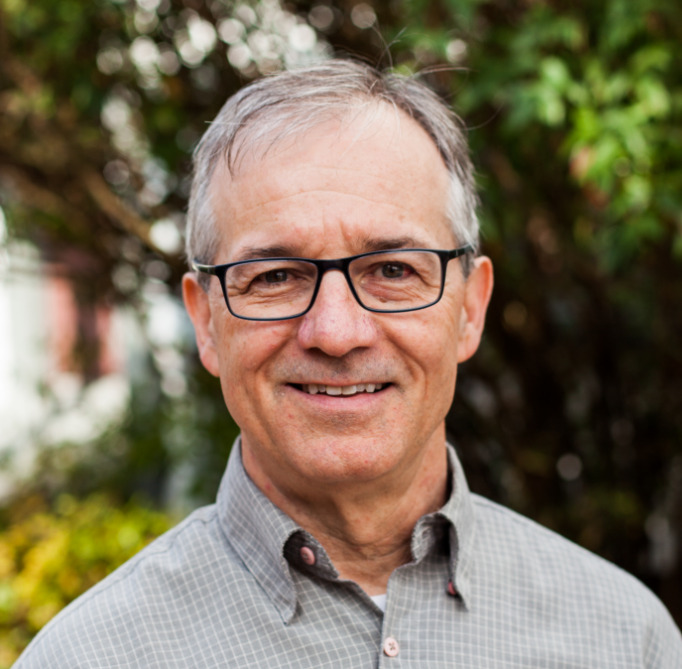 Tony’s ministry through the years has revolved around shepherding, spiritual formation and leadership development. The two great surprises of his life: the lavish grace of the gospel and that he finds himself a pastor. Tony and Mary Lynn have two adult daughters, Rebecca Giles and Mary Grace Bundrick. Greg grew up in the church as the son of a pastor and church musician. Even as he studied music at the University of Alabama (B.A. & M.M. ), his desire was to serve in the church leading and planning corporate worship. With a desire to teach congregations the heritage of her worship and music, he has composed and released three CDs of his compositions of congregational psalms, hymns and service music—My Cry Ascends, Christ is Our Cornerstone, and Rise and Worship. He also composes for choir, orchestra, film and chamber ensembles including the soundtrack for the recently released documentary on Dr. Martyn Lloyd-Jones, Logic on Fire. Opportunities to educate and disciple young adults led to the creation of New College Franklin—a Christian liberal arts college. His wife, Sophia, and daughter, Eleanor, all enjoy reading, cooking, taking walks and enjoying life in middle Tennessee. Susan has been the Office Administrator at Cornerstone since 2011, and she is still discovering new rooms and closets in the old building. She holds a BS in business administration from Siena Heights College in Adrian, MI. She has spent almost three decades in christian ministry and is grateful for the opportunity to serve at Cornerstone. She lives in College Grove where she spends her evenings and weekends enjoying gardening and cooking. But chief among her joys are her seven grandchildren, who are already growing up too fast! Meredith is a native of Jefferson City, Tennessee, where her parents were both professors at Carson-Newman University. After getting her B.A. in English at Mercer University in Macon, GA, Meredith moved to Nashville to complete her M.Ed. at Vanderbilt. In 2011, she married her college sweetheart Matt, and they bought a cute house in East Nashville. Meredith taught high school English for several years, and when she and Matt had their first child Sam, they moved to Franklin. After two years teaching A.P. Language and Composition in Spring Hill, Meredith is taking some time away from the classroom to enjoy life at home with Sam and his new little sister Charlotte. She is very excited to be serving as the elementary director, helping kids grow in their knowledge of the Lord and his Word. Christy grew up in a small town in Mississippi. She attended the University of Southern Mississippi in Hattiesburg and studied Deaf Education. In 2001, she married her husband Nate. They moved to Franklin in 2010 and love being in Middle TN! Besides working here at Cornerstone as the Nursery Coordinator, she also teaches preschool at Clearview Children's Center with the one year olds and one day a week she keeps other children in her home. Christy loves to see children learn new things and grow in their love for the Lord. She and Nate have 4 kids: Rosalyn, Katie, Knox, and Luke. Taylor is the acting Youth Director at Cornerstone this year. Outside of his work with the youth ministry, Taylor works in the financial sector and enjoys studying the intersection of theology, politics, and culture. Prior to moving to Franklin last summer, he studied Politics, Philosophy, and Economics (B.A., 2017) at The King's College in New York City. Taylor is married to his best friend Jenna, and they live in an apartment in Franklin with their many houseplants. Anneke is a senior at New College Franklin, majoring in Liberal Arts. Originally from Plymouth, WI, she was raised on an organic vegetable farm where she also worked since she was old enough to walk. In addition to managing the packing and delivery crews on the farm, she was in charge of customer relations and office administration. She has also enjoyed teaching youngsters to play the violin, and serving as a midwifery apprentice for several years. She enjoys reading, hiking, and traveling, and is very grateful to be part of the Cornerstone community in warm, sunny Middle Tennessee.